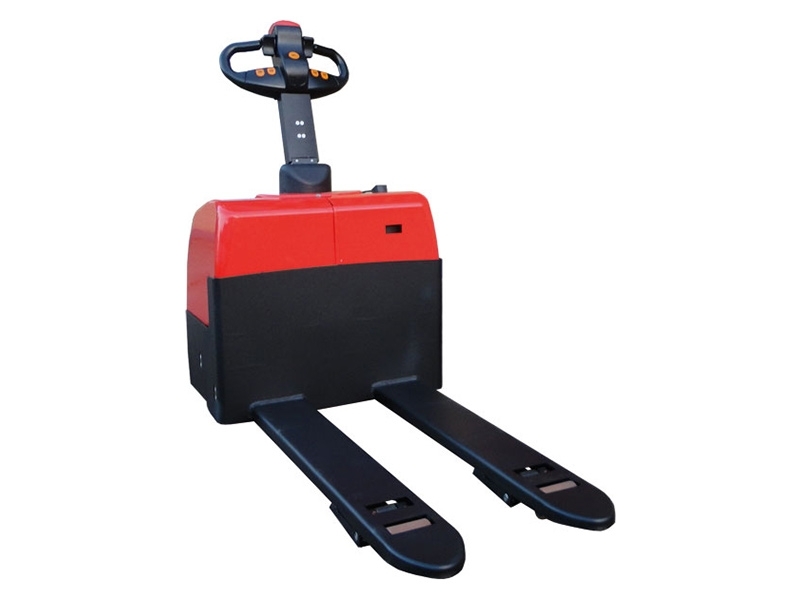 What is the purpose of the Liftmate Fully Powered Pallet Truck? The Liftmate Fully Powered Pallet Truck is the ultimate pallet truck for all your pallet transportation needs. The powered lift and drive makes using the Liftmate Fully Powered Pallet Truck easy to use and the strong and durable built makes is perfect for supporting up to 2000kg of weight. Save time and save your back with the Liftmate Fully Powered Pallet Truck. The Liftmate Fully Powered Pallet Truck is best suited for busy warehouse environments where pallets, heavy materials, supplies, and tools frequently need to be moved from one place to another. The Liftmate Fully Powered Palled Truck will make it easy for you to take care of all of your transportation needs without wasting time or energy. The powered lift and drive of this pallet truck make it easy for any staff member to learn how to use it. Your staff members will love using the Liftmate Fully Powered Pallet Truck, because it will prevent strain or injury from pulling and pushing heavy materials around the warehouse. 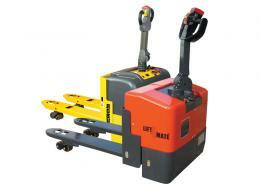 The Liftmate Fully Powered Pallet Truck comes in two sizes. One has a fork length of 1000mm and a width of 540mm and can support up to 1500kg. The other size has a fork length of 1150mm, a width of 680mm, and can support up to 2000kg of weight. Both sizes have a maximum speed of 5.2km/h when they are empty and 5.0km/h when carrying a load. The lowered fork height is 85mm and it reaches 205mm when raised. The Liftmate Fully Powered Pallet Truck has electronic speed control and does not waste battery when using necessary power. Order now and we will have one at your door in three to four day - delivery is on us! The warranty lasts for one year and includes parts and labour.